Do you want to build and teach your own online course? 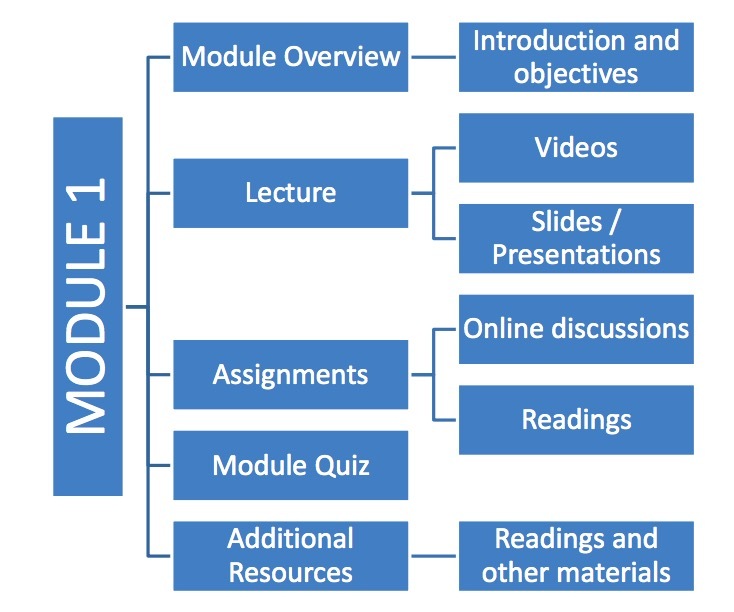 This is a high-level summary of the tasks and steps involved in creating and delivering a well-designed online course. Please note that creating an online course is a highly complex process. What are the steps in developing an online course? Course level, grad students? Undergrad? Powerpoint slides, Readings, video lectures etc. After you have developed all the course activities materials, you are ready to deploy and track e-learning content. You may use your school’s or organization’s tool (e.g., Desire2Learn, Canvas, BlackBoard or Moodle). You may also use other options.